The fourth book of Rujia儒家 is Meng Zi孟子. 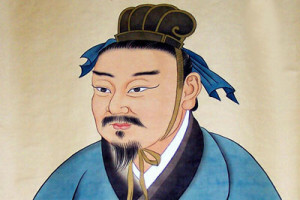 Meng Zi is a man who was born much later, after Kong Zi had passed away and he lived between 372BC to 289BC. His name is Meng Ke孟軻 After Kong Zi passed away he was one of the best Rujia philosopher and so now everybody who studies Rujia must study Meng Zi’s philosophy. This book also records conversations Meng Zi had with various people. From this very first chapter we can see the philosophy of Meng Zi. These four classic books of Rujia are the foundation of Rujia and in the past all scholars had to study it as it was one of the major parts of the Imperial Examinations.